Mr. Stuewe has served as our Chairman and Chief Executive Officer since February 2003. From 1996 to 2002, Mr. Stuewe worked for ConAgra Foods, Inc. (ConAgra) as executive vice president and then as president of Gilroy Foods. Prior to serving at ConAgra, he spent twelve years in management, sales and trading positions at Cargill, Incorporated. Mr. Ewing has been the managing member of Deeper Water Consulting, LLC, a private wealth and business consulting company since March, 2004. Previously, Mr. Ewing was with the Fifth Third Bank. 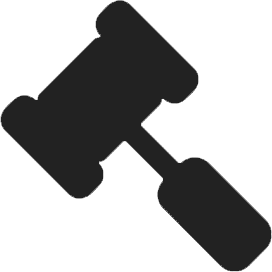 Prior to that, Mr. Ewing was a partner in Arthur Andersen LLP. 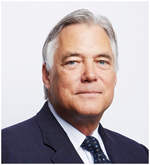 Mr. Ewing currently serves as a director of Compass Diversified Holdings, where he serves as chairman of the audit committee and as a member of the compensation committee. Mr. Ewing is on the advisory board for the Von Allmen School of Accountancy at the University of Kentucky. Mr. Ewing is also a director of a private trust company located in Wyoming and a private consulting company located in California. Mr. Kloosterboer has served as our Chief Operating Officer since January 2014. 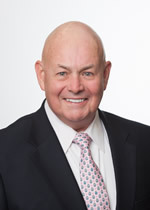 He served as chief operations officer and a director and vice chairman of the board of VION N.V. from 2008 until we acquired VION Ingredients in January 2014, which is now known as Darling Ingredients International. 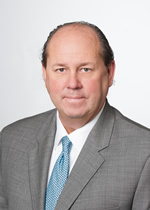 From September 2012 to April 2013, Mr. Kloosterboer served as chief executive officer of VION N.V.
Ms. Korby retired as a partner of the law firm of K&L Gates LLP, after having practiced law for more than 19 years as a partner at the law firms of K&L Gates LLP and previously, Weil Gotshal & Manges. 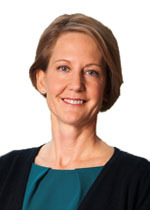 During her legal practice, Ms. Korby advised boards of directors and companies regarding securities law compliance, stock exchange listings, disclosure issues and corporate governance, as well as tender offers, joint ventures and mergers and acquisitions, including complex cross-border public and private transactions in diverse industries such as chemicals, defense, recycling, green energy, aviation, and manufacturing. Since 1998, Mr. Macaluso has been a principal of Dorchester Capital, LLC, a management consulting and corporate advisory service firm focusing on operational assessment, strategic planning and workouts. From 1996 to 1998, he was a partner at Miller Associates, Inc., a workout, turnaround partnership focusing on operational assessment, strategic planning and crisis management. 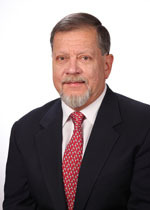 Mr. Macaluso currently serves as a director of the following companies: GEO Specialty Chemicals, where he serves as the chairman of the board; Global Power Equipment Group Inc., where he serves as chairman of the board; Woodbine Acquisition Corp., where he serves on the audit and compensation committees; and Pilgrim’s Pride Corporation, where he serves on the audit committee. Ms. Pharr Lee has served as president and CEO of C. Pharr & Company, a marketing communications firm since 1996. From 1989 to 1996, Ms. Pharr Lee was CEO of Tracy-Locke/Pharr Public Relations, a division of Tracy-Locke which is a subsidiary of Omnicom. 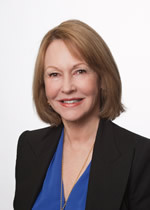 During her lengthy career as a communications executive and corporate board member, Ms. Pharr Lee has counseled companies regarding reputation and risk management; marketing, branding and digital communications; strategy; corporate social responsibility; media relations and investor relations in diverse industries ranging from food and beverage, construction, financial services, technology, transportation, energy, manufacturing and petrochemicals. Ms. Pharr Lee has served as a director of Behringer Harvard Opportunity REIT II since 2007, where she serves on the audit and nominating committees. In November 2015, she joined the board of Auto Club Enterprises (AAA). From 1994 to 2014, she served on the board of CEC Entertainment where she served on the audit and compensation committees. From 1991 to 1999, she served on the board of Spaghetti Warehouse. In 2008, Ms. Pharr Lee co-founded Texas Women Ventures, a private equity firm, where she continues to serve on the investment committee. 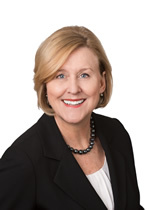 In 2007, she earned a certificate of Director Education from the National Association of Corporate Directors (NACD) and is a board member emeritus of NACD’s North Texas Chapter. In 2007, she completed Harvard University’s Executive Education Compensation Committee Institute. In 2015, she earned certification in digital marketing from Harvard’s Division of Continuing Education. Mr. Mize has held the position of partner and owner at MR & Associates since October 2009. Mr. Mize served as President of Rawhide Energy LLC, an ethanol company, from April 2007 to April 2009. 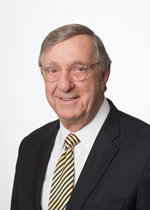 He also served as non-executive Chairman at Ceres Global AG, a Canadian public company that serves as a vehicle for agribusiness investments, from December 2007 to April 2010, and has served as an independent director of Ceres Global AG and a member of its audit committee since October 2013. Mr. Mize has also served as a director of Gevo, Inc. since 2011, where he currently serves as the audit committee chairman. In addition, Mr. Mize served Noble Group, Hong Kong, as Global Chief Operating Officer and Executive Director from July 2003 to December 2005 and Non-Executive Director from December 2005 to December 2006. Previously, he was President of the Grain Processing Group at ConAgra Foods, Inc., President and Chief Executive Officer of ConAgra Malt and held various positions at Cargill, Incorporated. Mr. Adair retired as Vice Chairman at BMO Capital Markets in August 2016. While at BMO Capital Markets Mr. Adair was responsible for initiating and negotiating investment banking transactions in the Food & Agribusiness sectors. Before joining BMO Capital Markets, he was Senior Vice President and manager of the Harris Capital Markets Group which became the nucleus of the BMO Capital Markets Chicago office. 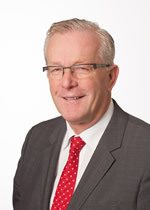 Prior to BMO, Mr. Adair was Director of North American Mergers and Acquisitions for the Australian based agribusiness firm Elders Grain, Inc. where he initiated and executed acquisitions. 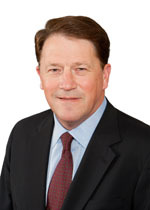 Early in his career, Mr. Adair held senior positions in domestic and export cash grain trading, futures trading, and transportation logistics with Consolidated Grain and Barge Co. Mr. Adair currently serves a director of Aryzta AG, a public global bakery business based in Zurich Switzerland where he serves as chairman of the remuneration committee. Ms. Goodspeed is currently the Chief Operating Officer and a Managing Partner at WealthStrategies Financial Advisors, a registered investment advisory firm, positions she has held since 2007, and currently serves as a member of the board of directors of each of the following companies: Columbus McKinnon Corp., where she serves on the compensation and governance committees; American Electric Power Company, Inc., where she serves on the nuclear oversight, audit and policy committees; AutoZone, Inc., where she serves on the audit committee; and Global Power Equipment Group Inc., where she serves as chair of the compensation committee and a member of the audit committee. She had served as Senior Vice President and Chief Information Officer of The ServiceMaster Company, a provider of home services, from 2011 to 2014. From 2008 to September 2011, Ms. Goodspeed served as Vice President, Information Systems and Chief Information Officer for Nissan North America, Inc., a subsidiary of Nissan Motor Company, a global manufacturer of vehicles. From 2001 to 2008, Ms. Goodspeed served as Executive Vice President at Lennox International Inc., a global manufacturer of air conditioning, heating and commercial refrigeration equipment. Mr. Rescoe served as executive vice-president and chief financial officer of Travelport Ltd. (travel services), a privately held company controlled by The Blackstone Group (BX), from November 2006 until October 2009. He served as executive vice president and chief financial officer of the Tennessee Valley Authority, a federal corporation that is the nation’s largest public power provider, from July 2003 until November 2006. Mr. Rescoe was a senior officer and the chief financial officer of 3Com Corporation, a global technology manufacturing company specializing in Internet connection technology for both voice and data applications, from April 2000 until November 2002. During 1999 and 2000, Mr. Rescoe was associated with Forstman Little & Company, a leveraged buyout firm. Prior thereto, Mr. Rescoe was chief financial officer of PG&E Corporation, a power and natural gas energy holding company, from 1997. For over a dozen years prior to that Mr. Rescoe was a senior investment banker with Kidder, Peabody & Co. and a senior managing director of Bear Stearns specializing in strategy and structured financing. Mr. Rescoe currently serves as a member of the board of directors of Global Power Equipment Group Inc. From May 2011 until February 2014, Mr. Rescoe served on our Board, where he served as a member of the audit and compensation committees, and from December 2003 until October 2011, Mr. Rescoe served as a director of Global Crossing Ltd., where he served as chairman of the audit committee. 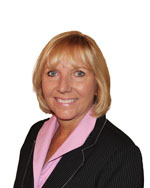 Ms. Ringenberg worked for Monsanto Company, a global leader in sustainable agriculture solutions, for over 32 years, during which she served in numerous management roles, including Vice President and Controller from 2009 to June 2018, Vice President, Global Commercial Operations and Finance from 2007 to 2009, and CEO, Asia Pacific Region from 2004 to 2007.